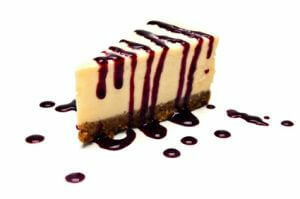 Taste the delights of a selection of hot and cold food and beverages throughout the weekend. 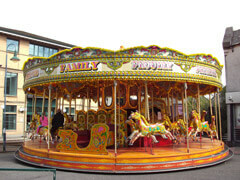 Enjoy the Carousel and funfair which provides a host of exciting rides! Come aboard me hearties to the Street Theatre on Main Street and the Marina. Enjoy the show stoppin’ routines to hits from the 1940s and 50s from the Kennedy Cupcake dance Troupe. These delectable young ladies will be sure to transport audiences back in time. Thrills and excitement of Walking on Water - try this amazing experience! From 12 noon. Come and try a fun filled experience in an open canoe with trained instructors throughout the weekend! There will be a wide range of market stalls in the Barleybank area (adjacent to St Mary's Church), creating a real “Fayre Time” experience. 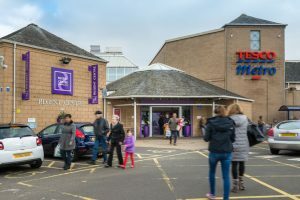 Stalls will include crafts and jewellery, and much, much more. Grab a bargain! 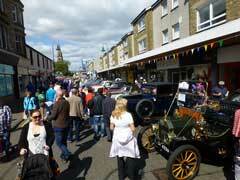 Several local car and motorcycle clubs will be presenting a wide range of Classic Vehicles in the Cowgate area. Car owners will be happy to meet visitors and chat about the cars on display. Local retailers are supporting the Canal Festival, with many shops open throughout the weekend. 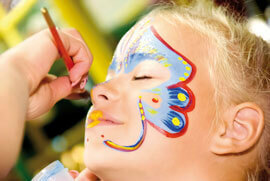 The Regent Centre, in the centre of the Cowgate, is joining in the fun with face painting and colourful entertainments. 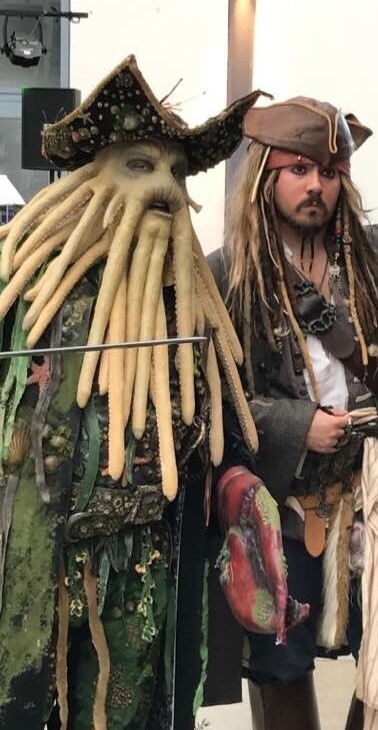 Come and meet Jack Sparrow and Davey Jones! 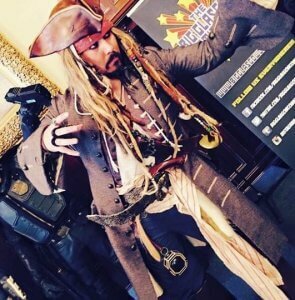 Make sure you lock up your rum and gold as Captain Jack Sparrow be making port in Kirkintilloch for Gala Sunday accompanied by the scurvy pirate legend that is Davy Jones!! They be both on a mission to recruit new ship mates fur the Black Pearl and the Flying Dutchman so keep a weathered eye on the horizon for them mates! 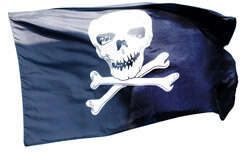 They be armed with Team Jack and Team Davy stickers so be sure to consider either sailing on the Black Pearl in search of Treasure or being imprisoned at sea onboard the Flying Dutchman!! 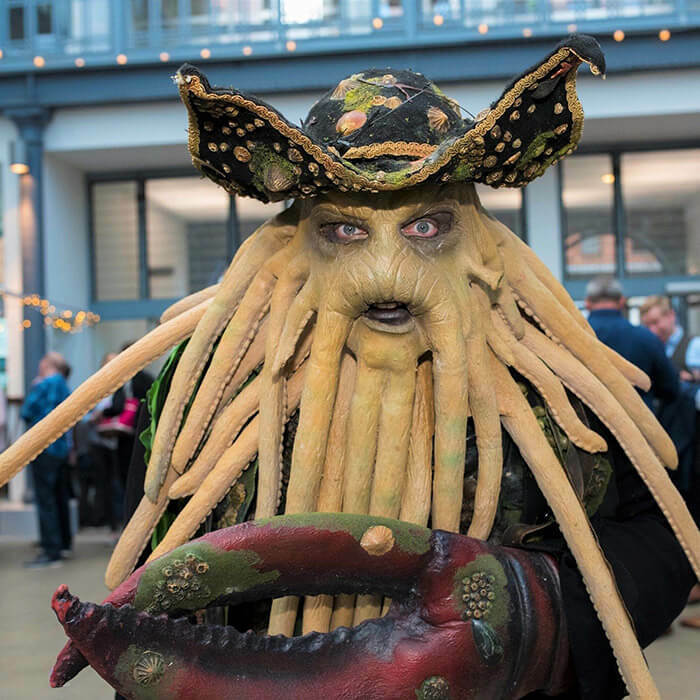 Captain Jack and Davy Jones will be following their compass/ eyepiece to award a very special prize to the best dressed at the Gala Sunay, dress as an individual or dress up the whole family! !, costume competition is open to all ages and costumes!! More details to follow! 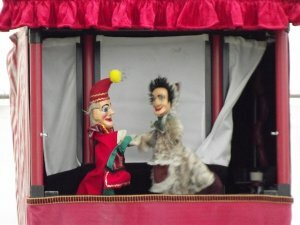 Back by popular demand.. one of the few traditional Punch and Judy shows suitable for all ages! 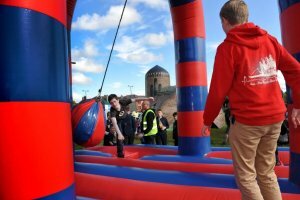 The Canal Festival traces its roots to the annual Kirkintilloch Police Station Open Day which will be open again this year between 12 & 4p.m. on Sunday 20 August 2017. 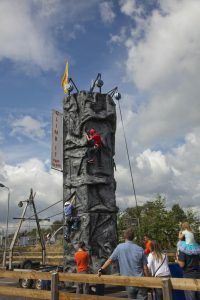 Appearing at this year's event will be Police mounted and dog branch, specialist departments including public order and road policing in addition to a number of exciting activities on offer, including free face painting, Soak the Sergeant, partner agencies including Scottish Fire and Rescue Service, British Transport Police, Scottish Ambulance and lots, lots more. 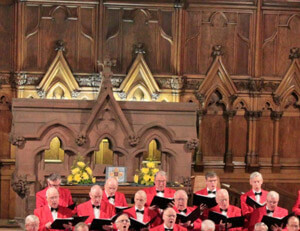 Kirkintilloch Male Voice Choir was founded in 1921. Over the last 90 years KMVC has performed throughout the country raising thousands of pounds for various charities and good causes. 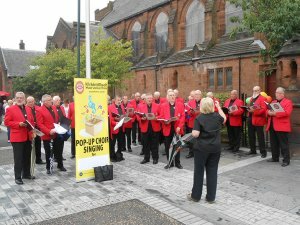 Kirkintilloch Male Voice Choir was founded in 1921. Over the last 90 years KMVC has performed throughout the country raising thousands of pounds for various charities and good causes. In the last year they were involved in raising around £12,000 for charities including the Beatson, Yorkhill, Christian Aid and CHAS. 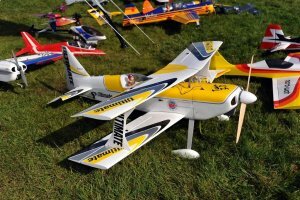 KMVC have 50 active members at present. The choir will be performing at this year’s Festival as a ‘Pop Up Choir’ and will be singing at various locations in the town from 1pm to 3pm. Last year they sang Flower of Scotland at a ‘Flash Mob Choir’ for the launch of the RBS Rugby 6 Nations. You can view the video on You Tube. The choir have over the last 18 months raised in excess of £35,000 for charities and good causes and have just recently joined with St Mary’s Parish Church Congregation to record a CD of favourite Hymns to mark the centenary of the present St Mary’s Church building on Cowgate. If interested in joining or getting more information on the choir access the web page on www.kmvc.co.uk or their Facebook Page or by phoning 0141 776 6058.